Knowing exactly where your website ranks in the SERPs is vital for its growth. For example, if you knew that a certain post is currently sitting at that accursed 11th position in Google, you’d know that you have to give it just a little extra push to get it over the hump. Being aware of exactly where each of your website’s articles is ranking is a huge advantage because it gives you the means of focus – the means to know exactly where to push when you are so close to those top positions. 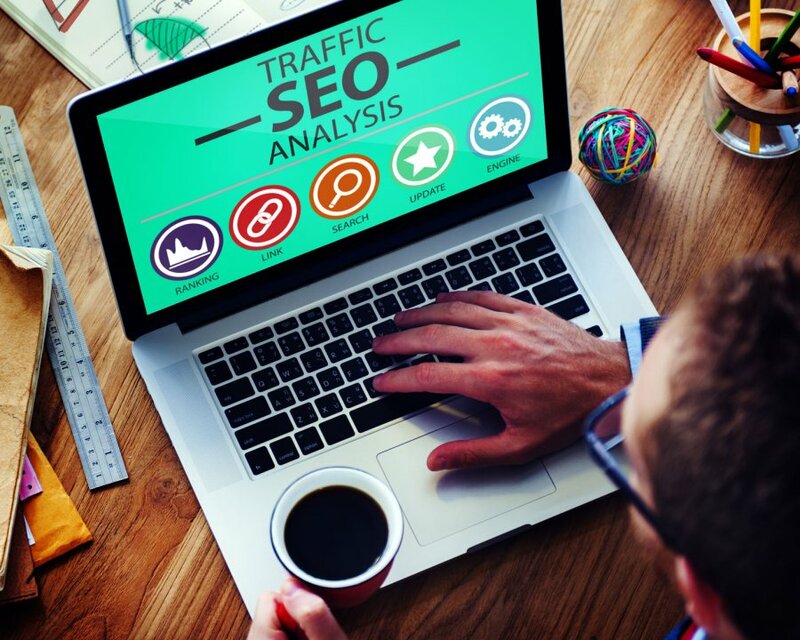 In the end, tracking the rankings of your website will result in a phenomenal increase in organic traffic. 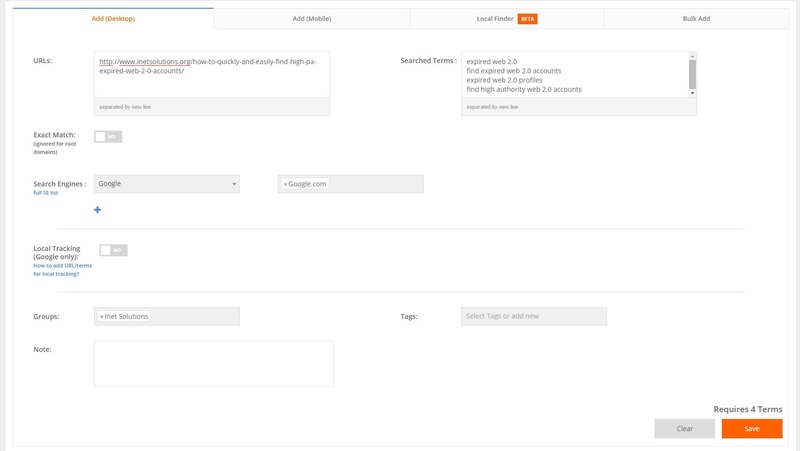 So how do you track your rankings in the SERPs? You don’t search for each specific keyword and then go through all the pages in the SERPs to find out where your website is positioned right? Well, you could do that, but I wouldn’t exactly call it time efficient. Instead, you can use the best online marketing tool for rankings tracking – Pro Rank Tracker. Pro Rank Tracker Features preview – what can this software do? What can you track with it? Is it affordable? Is it suitable for SEO agencies? Quickly and easily setting up the tracking of your website – a step-by-step guide on setting up the tracking process of your website by using the simple and intuitive UI of Pro Rank Tracker. Setting up automatic reporting – once you are finished with the website tracking set up, you wouldn’t want to waste time on going back to PRT and checking all your rankings manually. Instead, you want to receive daily/weekly/monthly emails, whichever you prefer, that will update you on your rankings situation. How we use Pro Rank Tracker – an insider look at the way we utilize the change in our website’s rankings to further increase growth. High accuracy – PRT uses the most accurate algorithm on the market that is able to provide up-to-date results on the rankings of your websites. Automatic and on-demand updates – Pro Rank Tracker automatically updates you websites’ rankings on a daily basis, but you are also allowed to request an immediate update and your data will be refreshed within a few seconds. Security – your website is completely safe when you are using Pro Rank Tracker since they do not search your URLs directly. Also, you don’t have to worry about proxies either since PRT takes care of that as well. Complete search engine coverage – Pro Rank Tracker can track the rankings of your websites on more than 100 search engines including Google, Bing, Yahoo, AOL, etc. You can check out the full list here. Local rankings tracking – PRT also allows you to track your local SEO efforts including the tracking of Google Maps Local listings. Supports foreign languages – you can basically track the rankings of your websites for any keyword in any language. Mobile rankings tracking – while most people still use desktop to browse the Internet, mobile search traffic is not to be underestimated. That is why Pro Rank Tracker also allows you to track the rankings of your websites on all common mobile devices such as smartphones and tablets. Videos rankings tracking – Pro Rank Tracker is simply perfect if you are looking to track the progress of your videos either on YouTube or on Google Videos. Unlimited URLs – you can track as many URLs as you want – there is no limit, not even for the free plan. 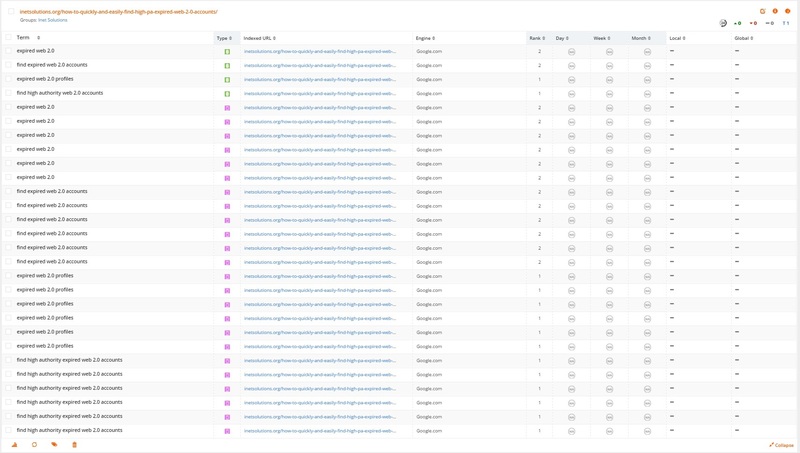 Unlimited reporting – just like the URLs, there is no limit on the number of reports you can generate. 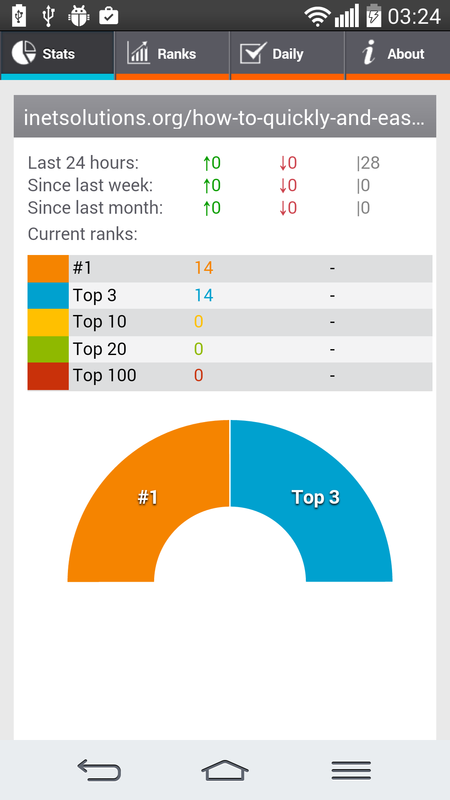 Mobile apps – Pro Rank Tracker can also be accessed on mobile devices as it has both an Android app and an iOS app. Advanced reporting – PRT allows you to track the progress of your websites’ rankings via advanced graphs and trend lines. It also allows you to easily send email reports to your clients, as well as let them check their own rankings via the MyRanks mobile app which also allows you to brand it so that your clients know who is generating this tracking for them. Free Majestic stats – Pro Rank Tracker displays free backlinks data from Majestic for the URLs you are tracking. White label reports – you can customize and brand all of the reports generated by Pro Rank Tracker including email messages, notifications, and PDF files. Extremely affordable – Pro Rank Tracker is the most affordable websites rankings tracking tool on the market and even offers a completely free plan for people interested in testing it out beforehand. In a nutshell, Pro Rank Tracker has made it extremely easy for both individuals and SEO agencies to track the rankings of their websites and their clients’ websites while at the same time providing phenomenally cost-effective pricing plans. Now let’s track some URLs and their corresponding target keywords (in PRT, these are called terms), and see what their position is in the SERPs for each of the terms we are targeting. The “URLs” and “Searched Terms” are self-explanatory – the first are the URLs which’s rankings you want to track and the latter are the terms (keywords) for which you want Pro Rank Tracker to track said rankings for. Then you select the search engines for which you want the tool to track your URLs’ rankings (full list of supported search engines here), and finally, you add miscellaneous information such as a group to which this set of URLs and terms should be added as well as tags and a note. Those last 3 fields will allow you to easily manage your Pro Rank Tracker account if you have a ton of URLs and terms that you are tracking. For instance, I only track each new post I publish here on the site and its target keywords, so I have simply set up a single URL group called “Inet Solutions” to which all of these sets of URLs and terms get added to. If at any point in the future I decide to start offering URL rankings tracking services to our customers, I will be adding an URL group for each new customer and that way I will be able to easily manage the tracking for many people. The tags are mostly used for filtering and the note is basically to allow you to write your future-self some text which would remind you something important about the URLs and terms that you are currently creating, for instance, “Stop tracking this on 21.12.2015”. When you have filled in all the required data (the last 3 miscellaneous fields are not mandatory), you simply click the “Save” button and the new set of URLs and terms will be added to your account. A very important thing to note here is the text right above the “Save” button i.e. “Requires 4 Terms” in our example. You see, the most significant way in which the different Pro Rank Tracker plans differ from one another is by the number of allowed terms per account. You always have unlimited URLs, but you have a limit to the terms that you can track. For instance, with the free plan you can track no more than 20 terms. That means that if you add 4 URLs each with 5 terms to track, your free account’s term limits will have been spent and you wouldn’t be able to add any more URLs to track. So, every time you add new sets of URLs and terms, watch out for the number of terms you will be using. For instance, if you were to add 3 URLs and 5 terms and also select 3 search engines to track these on, that would cost you a total of 3 x 5 x 3 = 45 terms. As you can see, I am tracking the organic rankings of this URL and it is currently sitting at second position for the first 2 terms and at first position for the other 2 terms. Once some time passes by (days, weeks, and even months), the other columns will fill with data as well which will basically show you how this URL is dancing with the selected search engines for the selected terms over the specified period of time. Dashboard – lists abstract stats about your URLs and terms including total number of URLs and terms, changes in rankings over the past 24 hours, 7 days, and 30 days, current rankings, and the latest news from your rankings shifts such as biggest jumps and biggest drops in the past 24 hours. Term View – lists all your individual terms and the URLs they are being tracked for including a very functional filter with which you can find only the terms you are looking for – perfect fir SEO agencies with a lot of URLs to track. List View – the simplest overview page out of the 4 which basically lists all of the URLs you are tracking, the number of terms in each one, and actions you can take with each of them such as reports and graphs generation, daily reports set up, edition, deletion, etc. There you go, it seems that the mobile-friendliness of this website has allowed it to keep its rankings on the mobile SERPs as well. I don’t know if you’ve noticed, but even though we were adding a new URL and terms, the terms have basically been added to the previous desktop URL tracking we created. That is what I like most about Pro Rank Tracker – it just feels natural and intuitive to use. So there you have it. Easy, simple, and intuitive. Of course, it’s a bit simpler to use Pro Rank Tracker for individual needs, but they have also made it extremely simple for SEO agencies as well. Basically, the difference between the use of PRT by individuals and by agencies is the fact that agencies will have to add URL groups for each of their clients as well as brand their reports (which we will cover in a second) and give access to their clients by creating a personal account for each of them so that they can, themselves, track the progress and rankings of their URLs and terms via the MyRanks app. That’s it. Ranks – check the rankings of each term for each URL that the account is allowed to track as well as display a graph of rankings and download a report of the rankings. Daily – allows you to download a PDF, CSV, or XLSX report that will show you the rankings of all your URLs on a daily basis over a user-defined period of time. About – this is where those company details that we filled in earlier take part. You can basically reach out to the company which is tracking the URLs for you via a simple contact form. And that’s it. Simple, easy, and effective. I’m not bullshitting here at all guys. I mean, when I see something so neat and intuitive and really well structured, I feel a strange sense of foreign perfection, so to speak. Anyway, I have portrayed what I wanted to portrait. Moving right along. User interface – you can choose between two themes – “PRT Modern” and “PRT Classic”. This is all about personal taste, but I like the first one better as I am not particularly a fan of old stuff. Layout – this includes customizing how your URLs and terms are shown, when they are collapsed/expanded, default order-by-parameter for both URLs and terms, etc. Reports – pretty much the sky’s the limit here. 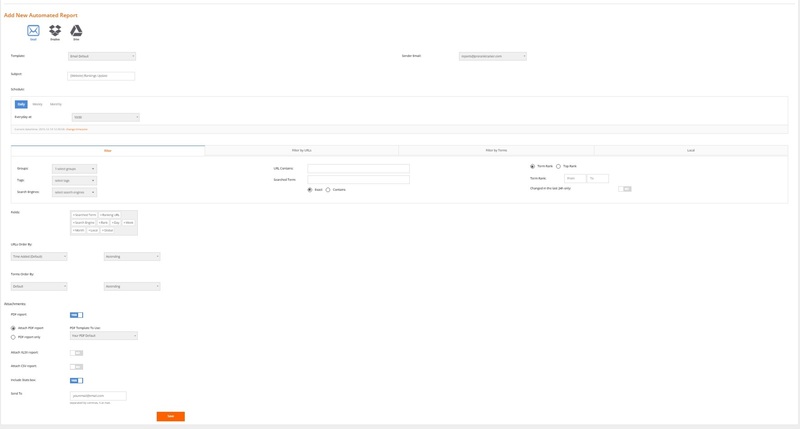 Pro Rank Tracker allows you to customize your reports to the last detail and even create your own reports from scratch. White label – branding your reports is just as important as creating their design. Pro Rank Tracker allows you to insert your domain name and logo which will both be shown in each of the reports generated by your account. Okay, now that we have seen just how easy Pro Rank TrackerPro Rank Tracker makes it to set up the tracking of your URLs and terms, let’s look at how equally easy it is to generate actionable reports for said URLs and terms. Overview Report – shows the current rankings of a selected range of URLs and terms compared to a user-defined point in time which can be yesterday, a week ago, a month ago, etc. Groups Summary – displays quick stats for all of your URL groups in an easy-to-comprehend manner. Tags Summary – displays quick stats for all of your terms with tags added – the field when you are creating a new set of URLs and terms to track. URLs Comparison – compares the rankings of the same term for different URLs. SE Comparison – compares the rankings of the same term on different search engines. As you can see, PRT allows you to generate all types of reports for your URLs and terms so that you can easily know how to further improve their rankings. 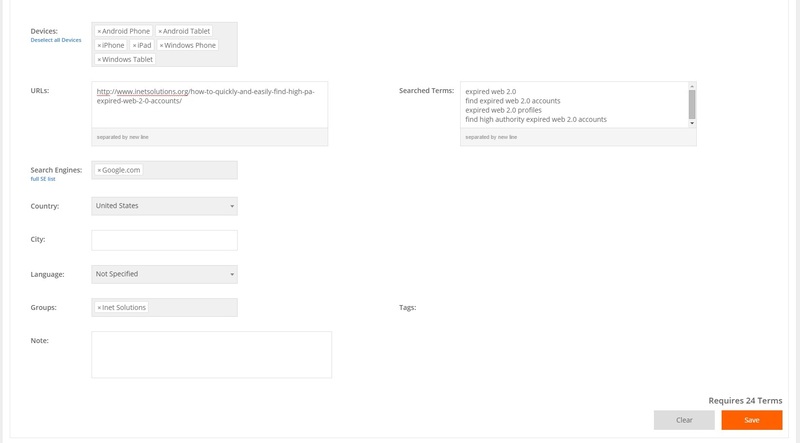 For instance, you can use a benchmark report to compare the rankings of a certain URL and its terms for two selected weeks. And because you know what you have done in the period of time between those two weeks and before, you would know what works and not and what you need to do in order to get that URL to top positions for its terms. That’s basically the whole idea behind website rankings tracking. Now, while you can generate all these types of reports manually with just the click of a button, it will be even better if you could automatically receive such reports straight into your email inbox right? As you can see, Pro Rank Tracker also allows you to upload your automated reports directly to either Dropbox or Google Drive. However, sending them as an email is something I like better. Now, as you see from the image above, you basically fill in the email details, and then you select the URLs and terms which’s rankings update you want to receive in the message. You choose the frequency of the messages i.e. daily, weekly, or monthly, and then you select the time of the day when you want the email to be sent. At the bottom of the form, you can also select to attach the report itself as a PDF, XLSX, or a CSV, all of which can be fully customized, and finally, you select the recipient of the automated report message. Then you click the “Save” button and you are good to go. The same thing can be done for your clients if you want to send them such reports maybe every week or so. Combining that with the access provided by the MyRanks app, they will certainly feel in full control with your services. I just want to note again that you can fully customize all the reports generated by Pro Rank Tracker, but the default ones have everything you need in them, so personally, I have never felt the need to create custom report templates. And that’s basically all there is to Pro Rank Tracker. As you saw, it is quite simply the perfect solution for both individuals and SEO agencies looking to track a website’s rankings. Now let me share with you exactly how I use PRT and then we will wrap this whole thing up. There’s not much to say here. Basically, every new article I write for the blog of this website gets added to Pro Rank Tracker with a few terms that I want to track its progress for. Usually, I would track only desktop rankings on Google, but more recently, I have started looking at mobile rankings as well and also Bing and Yahoo rankings tracking in addition to Google. And just like I showed you in the above section, I have set up an automated report email to be sent to my inbox every day at 12:00, so that I can see how the website has progressed over the past 24 hours, which basically tells me what I need to focus on and what I need to do in order to further increase the organic traffic of the website. How do I know what I need to do? Well, after watching more than four months of traffic increase after executing certain traffic generation strategies and techniques, I basically know when something I did takes effect and then I know how I can improve on it if it actually does – yes, sometimes something will work, sometimes, it might not. We live in a “give it a shot and learn” environment nowadays (SEO-wise), but that’s a whole other subject, so let’s leave it at that. In a nutshell, we use Pro Rank Tracker to track the rankings of each of the posts on the website (and a few pages), then receive automatic actionable reports on a daily basis, which we can analyze and then use to further increase the organic traffic of the website. So, Pro Rank Tracker (used the right way) equals website growth. Simple as that. So there you have it – now you know how you can quickly and easily track the rankings of any URL for any terms you like. Not only that, but we have also portrayed how SEO agencies can easily provide access to their clients so that they can, themselves, track the rankings of their own URLs. 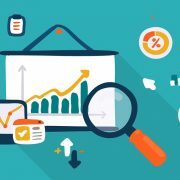 We also showed the many different types of reports that Pro Rank Tracker can generate for you, and then we scheduled an automatic reporting campaign that would send emails to us on a daily basis which contain website rankings update – data that we can use to further increase the organic traffic of the website. The one thing that we haven’t talked about is Pro Rank Tracker pricing plans and that’s quite simply because PRT is just extremely affordable – see for yourself. If you (like me) like to first test things out before committing to anything, PRT also has a free plan just for that purpose. But basically the whole idea of this article was to show you what Pro Rank Tracker is capable of so that you know, beforehand, if you really need/want to use it. Bottom line is Pro Rank Tracker is the best website rankings tracking tool out there (IMO), and if used properly, can help individuals grow their websites faster than ever before and bring in a ton of revenue and repeat business to SEO agencies providing website rankings tracking services. Great review man, I did not know this tool could track so many different things. However, if one does not have much money or is just starting out online, I would recommend using serplab.co.uk. it is completely free. the downside being it does not let you track you track rankings country wise and with no search volume and backlink data.